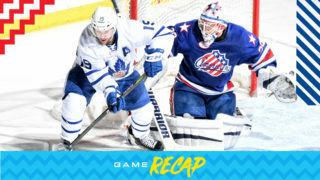 The Toronto Marlies and Laval Rocket squared off Saturday in their second meeting in as many days. After a tight defensive battle, the Marlies were able to edge the Rocket in overtime last night to even the season series 3-3. Today’s game was another close encounter as the Marlies held only a one-goal lead for the majority of the game. The Marlies saw an early power play opportunity as Laval’s Daniel Audette received a slashing penalty 1:35 into the opening frame. Less than a minute into the power play, Sam Gagner fired a rocket from the hash marks past Connor LaCouvee to open the scoring. Calle Rosen picked up his 28th assist of the season on Gagner’s power play goal. Shots on goal in the opening frame were 8-7 in favour of Laval, but the Marlies held a 1-0 lead on the scoresheet after 20 minutes of play. The second period saw end to end action with both netminders making some big stops. 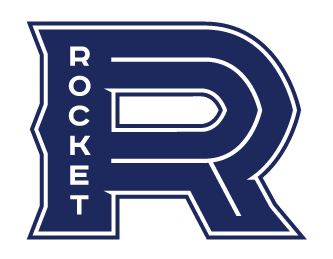 The Rocket outshot the Marlies 13-11 in the middle frame but to the credit of Kasimir Kaskisuo, could not find the back of the net. 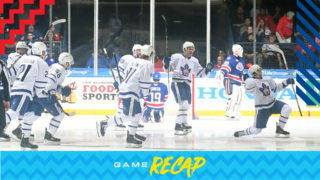 The final frame was an exciting one as the Marlies generated a flurry of close chances. 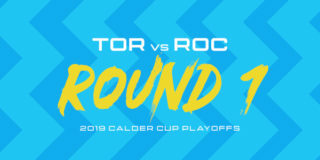 In the final minutes the Rocket were looking to even the score and force overtime and pulled LaCouvee in favour of an extra attacker. 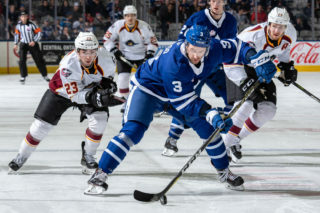 The Marlies took advantage with two empty net goals from Trevor Moore and Chris Mueller to seal a 3-0 win. 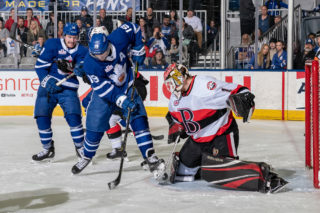 The Marlies will be back in action on Tuesday to host the Belleville Senators for a 7:00 PM start at Coca-Cola Coliseum. Sam Gagner opened the scoring on the power play at 2:20 of the first period. This was Gagner’s seventh power play goal of the season and his first game-winner. Trevor Moore scored an empty net goal at 18:52 of the third period and later recorded the lone assist on Mueller’s empty net goal. This is Moore’s ninth multi-point game of the season and his first empty net goal of the season. Chris Mueller scored Toronto’s second empty net goal of the night at 19:42 of the third period and earlier added the primary assist on Moore’s third period goal. Mueller has nine points (5 goals, 4 assists) in six games against Laval this season. Calle Rosen picked up the lone assist on Gagner’s opening goal in the first period and later added the secondary assist on Moore’s third period empty net goal. Rosen leads all defencemen in assists (29). Kasimir Kaskisuo stopped all 33 shots he faced in his third shutout of the season. Kaskisuo is now 7-7-1-0 on the season with a .880 Save Percentage and a 3.49 Goals Against Average. Toronto is 7-2-0-1 over their last 10 games, outscoring their opponents 36-26. This is the first time this season Toronto has recorded back-to-back shutouts. Toronto went 4-for-4 on the penalty kill and 1-for-2 on the power play. The Marlies have recorded the second most power play goals (45) in the AHL. Toronto has not allowed a goal on the penalty kill in three straight games. Laval had a 33-27 edge in shots in all situations. Frank Corrado, Sam Gagner, Trevor Moore, Chris Mueller and Calle Rosen led the Marlies with three shots on goal. 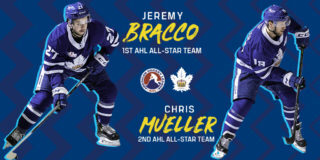 The Marlies are 17-13-3-3 against North Division opponents and are 4-2-1-0 against the Rocket. Toronto is 21-4-1-1 when scoring first. The Marlies are 16-1-1-1 when leading after the first period and 17-0-1-1 when leading after the second period. Toronto is 9-8-1-2 when outshot by their opponents. The Marlies are 9-5-0-0 in Saturday games and are 2-0-0-0 in February. Trevor Moore has recorded points (1-2-3) in consecutive games. Chris Mueller has recorded points (2-2-4) in three consecutive games. Calle Rosen has recorded assists (3) in three consecutive games. Michael Carcone (concussion) did not dress for today’s game. He served a match penalty in the third period of Toronto’s game on January 12 against Rochester and did not return. Much different game today. Obviously, I think we got more of what we fully expected from Laval in terms of their effort and their forecheck and the pressure they put on you. So as a result, we weren’t nearly as effective as we were last night. But, credit to our guys first of all for scoring a power play goal and getting us the lead early. And then, despite the fact that we didn’t control play as much as we’d like to today, I thought we did a good job of defending and keeping them away from our net and really taking away any sort of quality chances that they might have been looking to generate. So, we like the fact that were able to really just stay with it and find a way to get the win. I think that we just stuck with a process. I think on our power play we found some consistency in the units that we’ve put out there and we found success that way particularly that first group: Mueller, Bracco, Moore, Gagner and Rosen. That group has found a lot of success. The other group has been a little more inconsistent in terms of the personnel. But, I just like what that’s brought to it. And then penalty killing, we think we’ve gotten incrementally better over time. Certainly, goaltending I would say is the biggest factor probably that will help us there. Marchie’s got a broken collarbone. So, he’s going to be out a while here. So, very unfortunate for him and for us obviously but he’s in good hands and we’ll take care of him and he’ll be back when he’s ready. I think that Hutchinson obviously is an experienced goaltender. He’s had a lot of success in this league. He had the experience of playing in the NHL, in different organizations but then shortly after arriving here, he gets to play (back) in the NHL. He comes in and he’s confident and comfortable. I think his presence around here has really helped Kaskisuo settle in. Jon Elkin (goaltending coach) is working extensively with Kas and trying to help him find his game and find some consistency. We’ve really liked the way that he’s responded here of late. I thought he was really good today. I thought we protected him quite well. But nothing went in that shouldn’t have. And any time they really threatened, he was there, he was tracking it, he was in position and that’s what we’re looking to see with him. 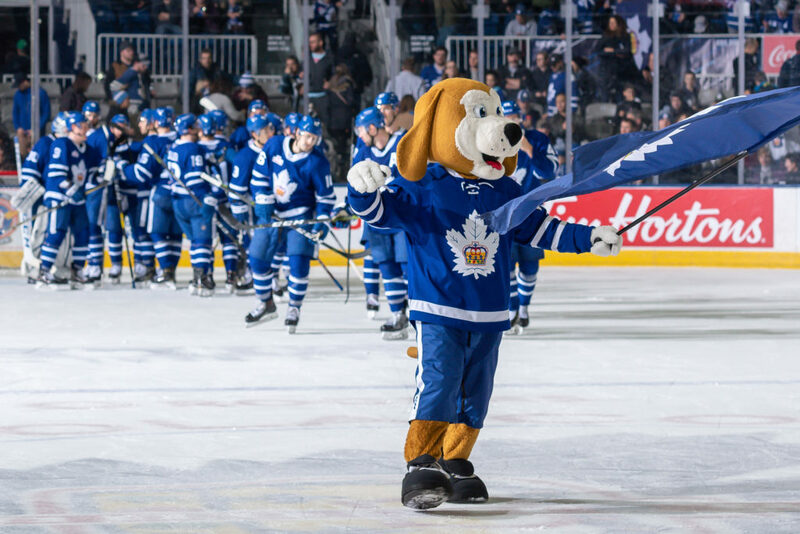 The Toronto Marlies evened up their season series against the Laval Rocket with an overtime win last night at Coca-Cola Coliseum. It was a tight defensive battle yesterday, with no goals scored in regulation. The Marlies held the Rocket to only 15 shots on goal, while Rocket goaltender Charlie Lindgren turned away 36 of 37 shots he faced. Chris Mueller finally solved Charlie Lindgren at 2:09 in the overtime frame to give the Marlies the extra point. These North Division rivals meet again today for their second game in as many nights, and the Marlies will be looking to extend their streak to three while the Rocket will be looking to crack a three-game losing skid. Fans coming down to Coca-Cola Coliseum today are encouraged to arrive early as the first 5,000 fans through the gate will receive a bobblehead commemorating 2016 Marlies Graduate, Connor Brown. It’s also a Doubleheader Saturday which means there will be lots of opportunities for fans to win great Leafs and Marlies prizes! Puck drops at 4:00 PM on Leafs Nation Network and AHLTV. Fans can follow us on Twitter and Instagram for behind-the-scenes action from Coca-Cola Coliseum.